If you’ve been on the hunt for a safe, efficient crossover SUV, the 2018 Toyota RAV4 and 2018 Hyundai Santa Fe are probably already on the short list of drivers near Pooler. While both models have rightfully earned their fair share of praise, one look at the RAV4’s utility and the Toyota Safety Sense® P (TSS-P) package helps you see the difference. 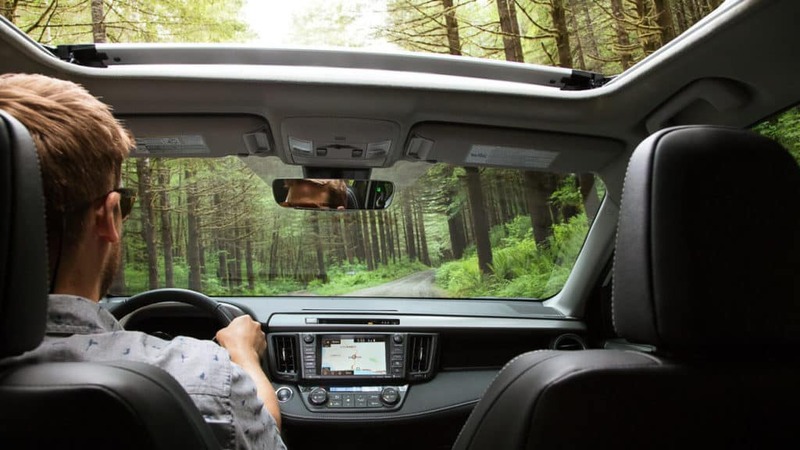 Explore the 2018 Toyota RAV4 interior, trim level packages, and other features. Toyota RAV4 – The RAV4 comes standard with a 2.5L four-cylinder engine and a six-speed automatic transmission. This setup allows the RAV4 to get an EPA-estimated 30 mpg/highway and 23 mpg/city with front wheel drive (FWD), or 29 mpg/highway and 22 mpg/city with AWD. 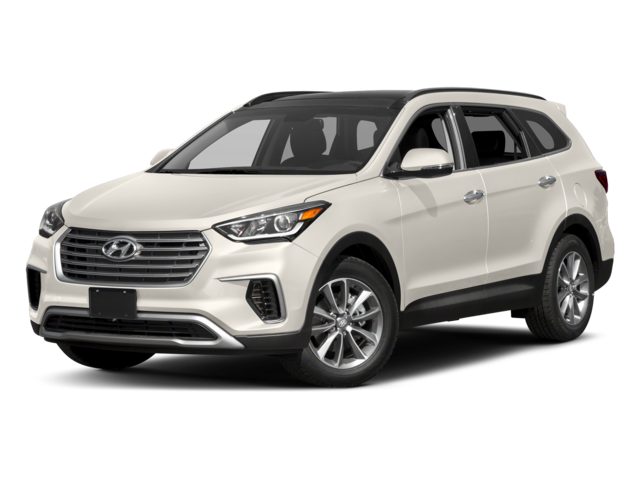 Hyundai Santa Fe – The Santa Fe gets a standard 3.3L V6 engine and a six-speed automatic transmission. With FWD, the Santa Fe only gets an EPA-estimated 25 mpg/highway and 18 mpg/city, dropping further still to 24 mpg/highway and 18 mpg/city with AWD. What’s especially exciting, though, is that all Toyota SUVs come standard with the bountiful Toyota Safety Sense™ P (TSS-P) suite, which brings many more added driver assist technologies to the mix. Unlike the Santa Fe, for example, the RAV4 also provides drivers with a Pedestrian Detection feature, Steering Assist, and Adaptive High Beams. You’ll also find more safety features than in the Subaru Forester and Subaru Outback as well. Put the New RAV4 to the Test in Savannah, GA! The 2018 Toyota RAV4 stands up just as well to other popular models in the segment as well, including the Kia Soul. 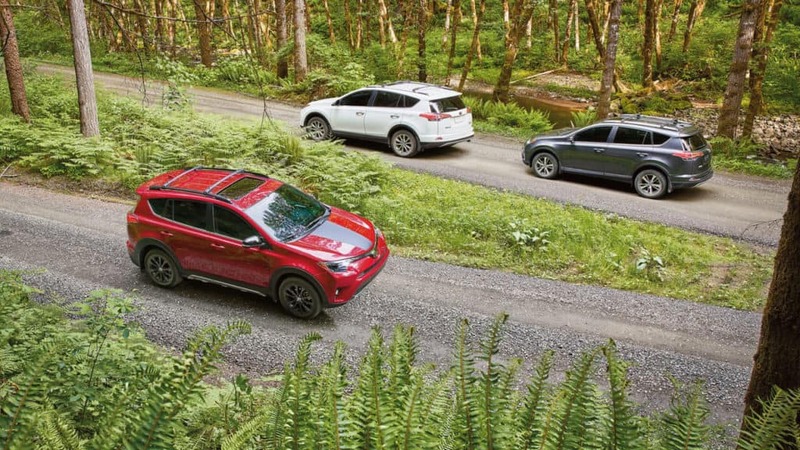 The bottom line is that there’s not a crossover on the road quite like the RAV4 — at least until the 2019 Toyota RAV4 arrives! 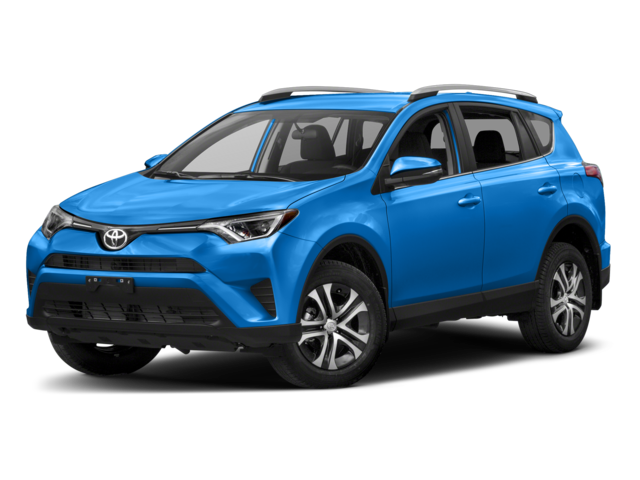 Come see if it’s right for you by browsing our selection of new RAV4 models at Savannah Toyota in Savannah, GA. Make sure to get in touch with our Credit Clinic to secure the financing you need, so you can drive home in a new Toyota crossover today. You can also contact us with any questions or scheduling a test drive.